Led by Uruguayan-born Trumpeter Carlos Manuel Zabala, Virtus: International Ensemble is dedicated to perform and record a wide repertoire of music, drawing inspiration from diverse cultural influences. This dynamic new chamber ensemble, combines the precision and elegance of classical music with the energy of Latin American rhythms and the soul of traditional folk music. 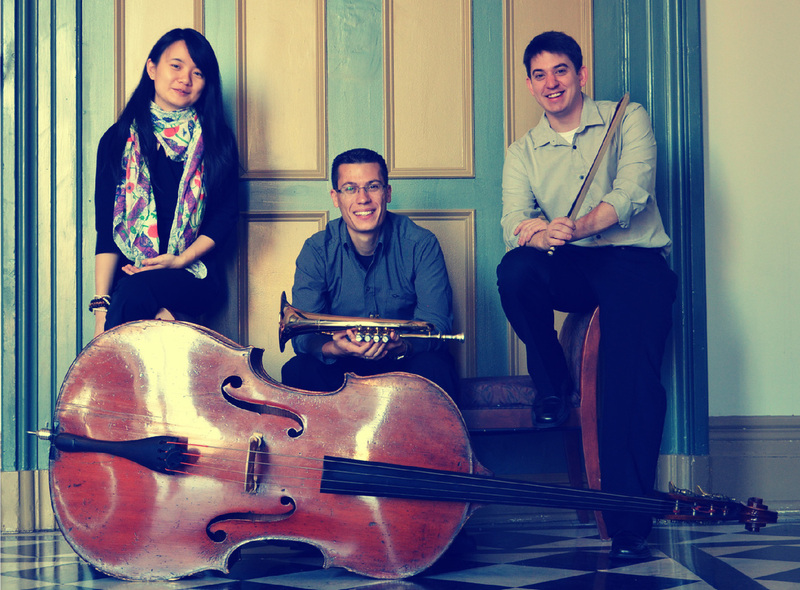 Carlos, Chinese Pianist Lia Wang, and Chilean-American Double Bassist Edward Leaf met at the Peabody Institute of the Johns Hopkins University in Baltimore (Maryland), where each was pursuing their classical training. United by a common interest in art music outside of the classical genre, and a love for collaboration and experimentation, Virtus was founded in 2011, and started to perform right away, with great acceptance from the audience. The group frequently performs with guest artists, specially percussion musicians. In addition to public appearances, Virtus is passionate about music education and outreach, performing and collaborating regularly with Baltimore Symphony Orchestra's ORCHkids Program. Virtus' members also teach and perform for other outreach and community programs around the globe. Lia Zhao Wang was born in Guiyang, China and displayed musical talent from an early age. Miss Wang received the first piano lesson at the age of 3 and gave her first public performance in the following year. She has given performances throughout cities in Germany, Spain, United States and China. Miss Wang is an avid solo and chamber pianist. During the years when she studied at Shanghai Conservatory, she was invited frequently to perform concerti and chamber music with Shanghai Philharmonic. 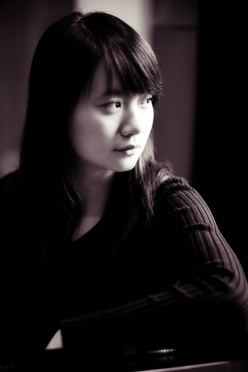 In August 2009, she was one of the selected young pianists to perform at Kennedy Center in Washington D.C. for the International Piano Festival. Miss Wang participated in master classes by Leon Fleisher, Russell Sherman, Joseph Banowetz, Malcolm Bilson, Pavlina Dokovska, Barry Douglas, Bernd Goetzke, Alexander Korsantia, Barry Snyder, Fou Tsong, Yehudi Wayner and many other respected teachers and musicians, from whom she received many positive comments on her energetic and sensitive playing. Miss Wang attended the Affiliated Elementary School of Shanghai Conservatory and later continued her middle/high school and professional music study at Shanghai Music Middle School, where she studied with Prof. Chongfang Zhang, Prof. Chen Jiang, Prof. Jianzhong Wang, and Prof. Hung-Kuan Chen. Miss Wang received degrees and diploma in piano performance at Eastman School of Music and Peabody Institute of Johns Hopkins University, where she was under the tutelage of Prof. Nelita True and Prof. Boris Slutsky. Currently, she is pursuing a doctorate degree in piano performance at Michigan State University. In the free time, Miss Wang enjoys discussions of arts, architecture and philosophy. She also cooks oriental and western foods recreationally and holds great interests in chess games, design and fashion. Double Bassist Edward Leaf began his studies on the instrument at the age of 17. A year later he was awarded a scholarship to study with Ali Yazdanfar at the Catholic University of America in Washington, DC and later received the C.E. Brown Award for Excellence in the Arts. He completed his Master of Music degree at the Peabody Institute of the Johns Hopkins University in Baltimore, MD under the guidance of Paul Johnson where he held the position of Principal Bass of the Peabody Symphony. He has twice been a fellow at the Domaine Forget Academy in Quebec and has held coveted fellowships at the National Orchestral Institute and the YOA Orchestra of the Americas, with whom he toured as Principal Double Bass under Carlos Miguel Prieto. Dedicated to the notion that music can serve as an instrument for social change, Leaf was accepted into the inaugural class of YOA's Global Leaders Program and trained in non-profit management and social entrepreneurship. He had the opportunity to visit programs in El Salvador and New Brunswick and completed the program with distinction. Mr. Leaf is currently on faculty at Shepherd University , Principal Bass of the Two Rivers Chamber Orchestra, Assistant Principal Bass of the Williamsburg Symphonia and was recently named a Semi-Finalist for the New World Symphony. He is a founding member of Virtus: International Ensemble, a group of classically trained musicians dedicated to performing and recording diverse repertoire and challenging the conventional boundaries of the classical genre. He is an active teacher and freelancer in the Baltimore-Washington area and has performed with many local professional groups including the Baltimore Chamber Orchestra, York Symphony, Annapolis Symphony and the Apollo Chamber Orchestra of Washington, DC. In addition, he is currently engaged in efforts to launch a new music initiative in the Arlington, VA area.